Forever 21 has a Leap Day promotion today! 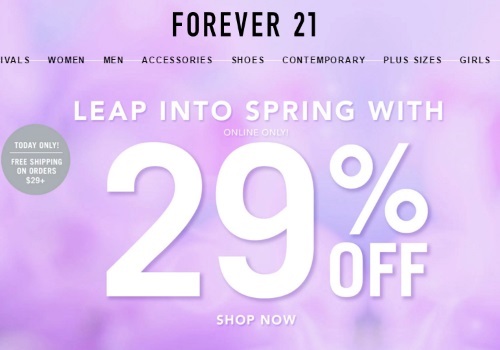 Leap into spring with 29% off select items and get Free Shipping on orders of $29 or more. No promo code is required. Discount is shown on their site on select items.